Just replaced my pex caps with these nice Zurn pex valves from Zoro Tools. No more tools to drain low point drains. Perfect, was just looking for something like that that didn't cost a bundle. On edit, I ordered some and they will be here in just a few days. Thank you for the info! great mod. i put ball valves on mine. I started with ball valves and did not have enough room for them. These were a little smaller and the whole valve did not have to turn to tighten. Just what I've been looking for! Thanks! Ordered them Friday, got them on Monday. Now that's good service. I just ordered a pair as well. Thanks for posting this. Do we have time for shortcuts? Dumb question: What are pex caps? I would like to replace those stupid T-handle pull-up valves on my low point drains w/ something easy to install that works a lot better, and doesn't leak all the time. Sheesh, what a design. The black parts are pex caps, you have to remove them to drain the plumbing. A PITA since it's a two handed operation. 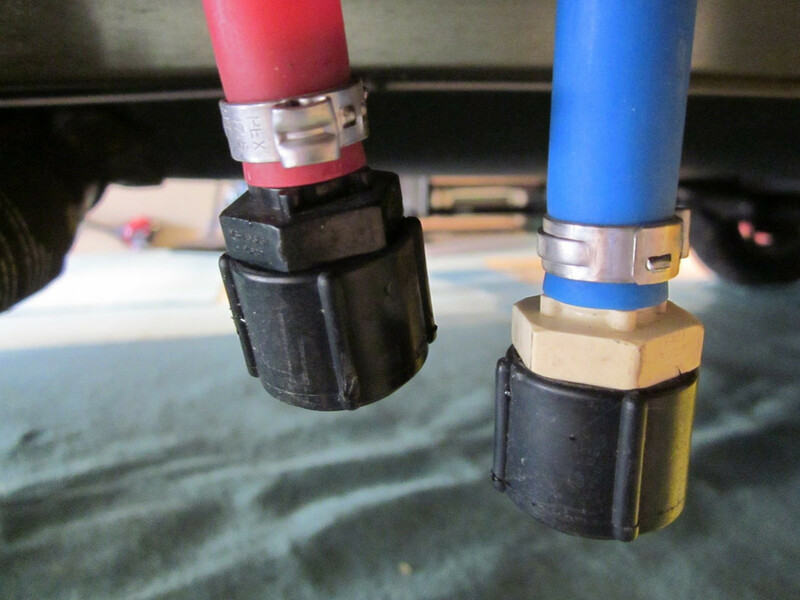 Check Sharkbite fittings for valves to replace your pull handle valves.